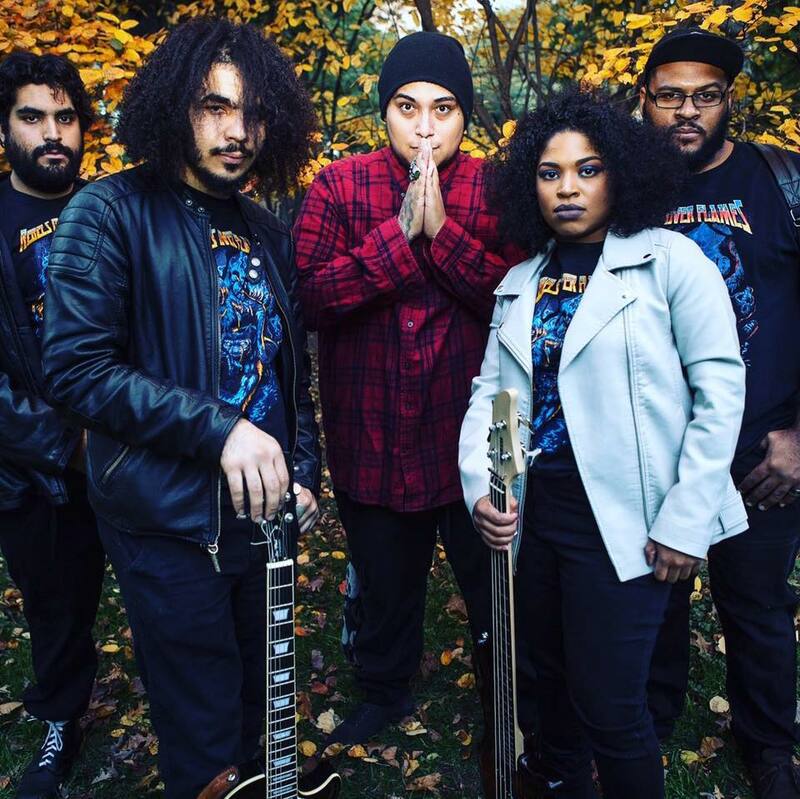 REBELS OVER FLAMES Scheduled To Release Debut Album 12/1/16! Hard Rock/Metal band REBELS OVER FLAMES are scheduled to release their debut EP entitled, "BLAIR WITCH IN MY BACKYARD," through their label CANNONBALL.Rocks on 12/1/16! Rebels Over Flames comes from the heart of New York, where the sounds of metal hits the rock and ignites. Founded in early 2015 by lead vocalist Bam Garrido the band has had its line-up changes along the way. With the solidification of their current band taking hold, the focus and drive of what Rebels Over Flames has created seals what they have just begun and their roots are far reaching. Cutting the edge of where old school meets the 21st Century metal sound Rebels Over Flames has created a variant merge between original Black Sabbath to the early days of Escape The Fate, yet with their ability to take the heavy modern metal sounds to both the English and Spanish speaking worlds this has spawned a fan base that is open and diverse making Rebels Over Flames so unique in the universe of metaldom. The current band line-up is nothing short of strong empowered metal rock. This is the sound, their own brand of metal, this is Rebels Over Flames. According to ROF's lead vocalist and founding member Bam Garrido, "We are really excited to debut it because these 5 tracks are songs that were worked on since the making of the band. Tracks like "Dream A Little Dream," and "I Am The Rebel" were written by previous members of the band. Tracks like "CHUNGALERA," "DAWN OF THE DAMNED," and "SHARPSHOOTER" are songs written by the members of this band. The five tracks all consist of different rock genres. We want to show our fans, and audience that we are a diverse rock n roll kick ace sound." Lead vocalist Bam Garrido composed the intro track entitled "AWAKEN!" It was inspired by John Carpenter and the theme song to "STRANGER THINGS." BANGS! cowgirlzen REBELS OVER FLAMES Scheduled To Release Debut Album 12/1/16! The land of Michigan has given the world a deluge of multiple necessities and sheer pleasures outside of what at one time was the auto industry mecca. Like its heart and soul of the blue collared working person that breeds an indelible, almost pioneer spirit, the music from here reflects its surroundings as once again this 26th state, added to the Union in January of 1837, is having a rebirth. 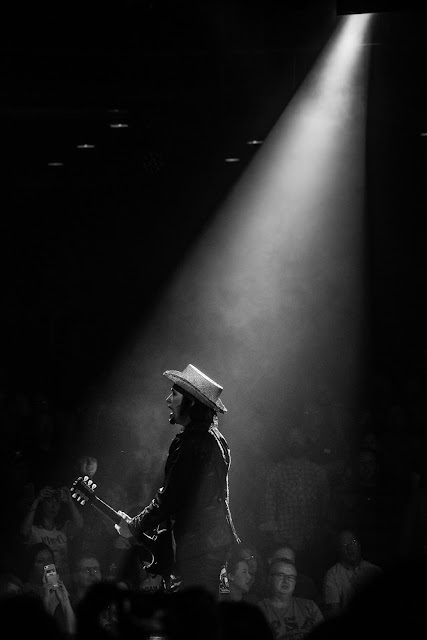 The possibility of this land known warmly for its industrial explosion in the region of the Great Lakes is now standing at possibly a new dawn... the creation of being a strong contender for the music scene, much like Nashville is today. 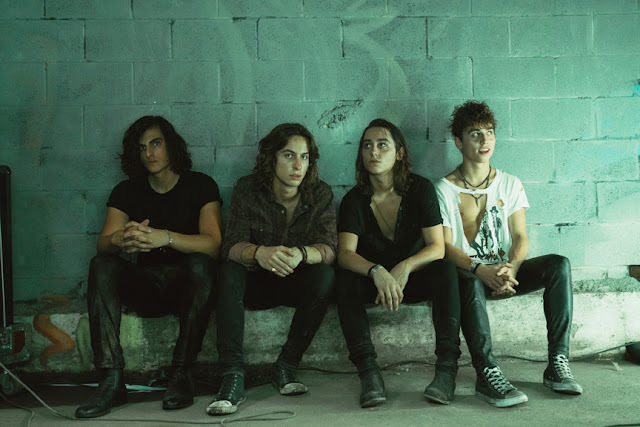 With this in mind, the resonating rock and blues plus more yet to be revealed have begun with the band, Greta Van Fleet. They are poised and ready to bring the elements of rock n' roll up to the next level. Stryper Brings Home Their Metal Sound: Concert Review "To Hell With the Devil"
It was a 'sweet' celebration Stryper brought with them everything a 30th-anniversary celebration should bring and then some! The strength and heart as the yellow and black brought the hard rock attack back to Arizona, as the Nile Theatre was packed with die hard fans that came from some sort of faith background so it seemed and included a wide age group range. How does one categorize a man who is one part rock star, several parts romantic highwayman, a dash of the peculiar gentleman, and a whole lot of British? One doesn’t. He must be christened and his name yelled in revered abandon: it’s Adam Ant. Whether it is the challenge of growing up too fast, playing in a band that he loves, flying solo, working on music projects, the loss of a loved one, or just kicking back at home musician/singer-songwriter Michael Sweet greets each day as if it were to be his first and his last. With an eagerness to say yes and come what may. His faith in God has carried him to say, "I am not a man of many regrets." Song River: Being on tour for a band must be an almighty passion. What is it though that most bands do when they have a 'day off' while they are out touring? Michael Sweet: To be honest, aside from interviews and social media, it is a day we finally get to do our laundry! [laughed] I am so OCD about doing laundry. You got to be the first one up if you want to get it done. Song River: Laundry day has to be a good day! When you are on the road and away from home what are some of the things you miss? CowGirlZen Entertainment 2015 Publisher of BANGS! Music & Entertainment.